You can buy bitcoins from either bitcoin exchanges, or directly from other people via marketplaces. But for the purpose of this lesson, we'll use an exchange that supports the purchase of bitcoin using a debit card such as Master/Visa Card. The exchange we are choosing here also allows you to sell your bitcoin and get your money in your Nigeria bank account. Bitcoin exchanges are simply bitcoin firms that perform bitcoin transactions such as selling, buying also having trading platforms. For example, you can buy bitcoin with a fiat currency (such as Naira, dollar, Euro e.t.c) and also sell bitcoin for fiat currencies and have your money withdrawn to your bank account. For the purpose of the lesson, we'll adopt #Luno exchange, Luno is a South African based bitcoin exchange company that supports funding and withdrawal in Nigeria Naira and few other countries. 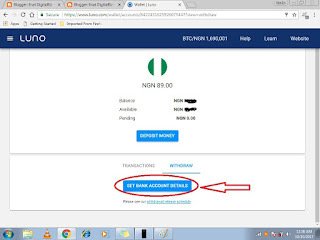 Bitkoin.Africa is also Nigeria based bitcoin exchange company, also supports funding and withdrawal in Nigeria Naira and other African countries. So the next practical we'll do now is to visit Luno and sing up for a wallet for free. We want to create another bitcoin wallet, but this time with luno exchange. The bitcoin wallet we created earlier on this platform on blockchain was perfect and good. It's for us to keep our bitcoin safe and secure, being the largest patronized bitcoin wallet in the world. The essence of you creating in Luno is to be able to fund your luno account with a local currency (Naira) and buy bitcoin with it, and also be able to convert your bitcoin to Naira whenever you need to cash out your money into your bank account. 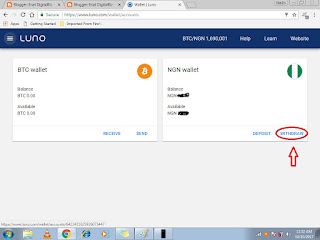 After signing up, log in to your Luno account, to view your bitcoin address, click on Receive, it will display your bitcoin address for you. I believed you already know what bitcoin address is. Please keep the bitcoin address you created earlier on the blockchain because they are different bitcoin addressed that belong to you alone. After login into Luno account, click on the wallet, you will see two accounts: One is bitcoin balance and the other is your fiat (local currency balance). It is the second account you fund with Naira and also withdraws from. The first is your bitcoin balance. Remember, they are both currency. To add your bank account details, click on withdraw, it will prompt you to add your bank account. To fund your Luno wallet, click on wallet link, then click on fund account and follow the instruction to enter your master card details. 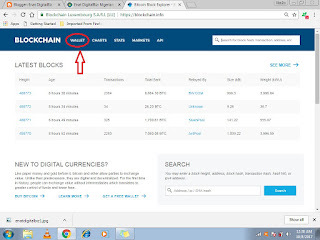 Note: For the sake of this practical especially for those who are new in bitcoin and doesn't know all this, you can fund your account with just #500 just to test your knowledge. It is your money, you can't lose it. Whichever bitcoin exchange platform you choose including Luno have KYC (Know Your Customer0 policy to guide against Money Laundering and Fraud. 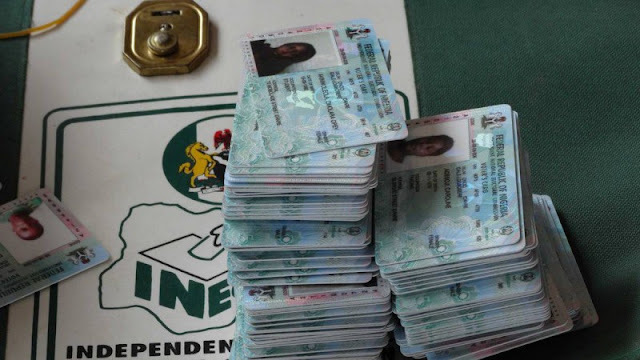 Therefore, you shall be required to provide your BVN information, otherwise, there will be a limit to your transaction on the Luno platform. Now that you have successfully fund your Luno account wallet with #500, let's buy some bitcoin with it. 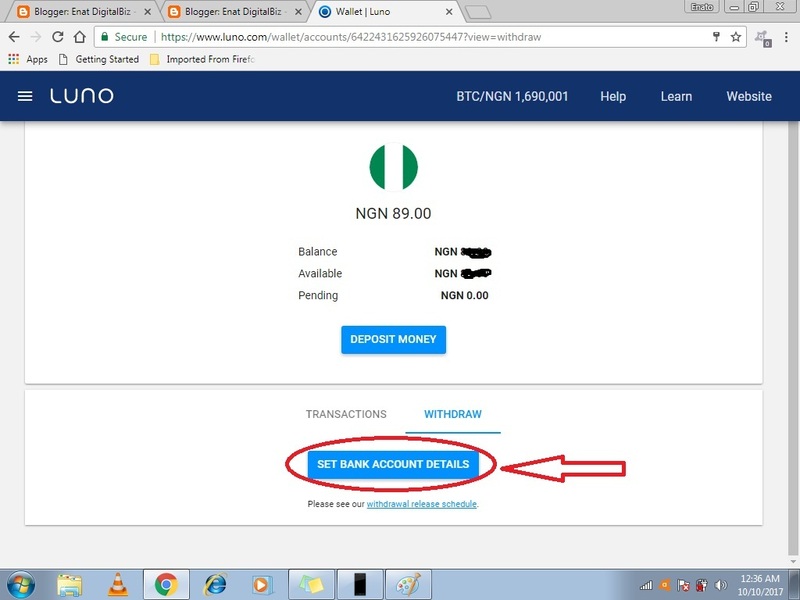 To buy bitcoin, click Luno then follow the instruction to sign up, input the amount of Naira you like to buy. After that, it will credit your bitcoin account and you will see it there. Your questions and comment are welcome. 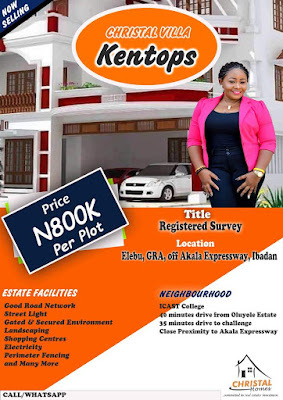 Disclaimer: Enatdigitalbiz.com.ng does not endorse nor support this product/service. Readers should do their own due diligence before taking any actions related to the mentioned company or any of its affiliates or services. 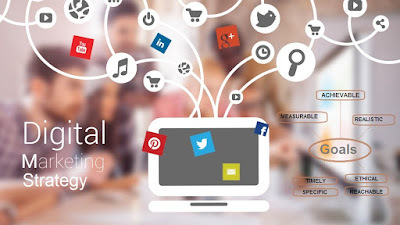 Enatdigitalbiz.com.ng is not responsible, directly or indirectly, for any damage or loss caused or alleged to be caused by or in connection with the use of or reliance on any content, goods or services mentioned in this article.